The hospital stay after laparoscopic radical prostatectomy is dependent on cultural and societal factors unique to each center. In Europe, patients are much more reluctant to leave the hospital with a catheter than in the United States, making this parameter meaningless as an indicator of convalescence; it more correctly represents a measure of the duration of urethral catheterization. As shown in Table 1, the average duration of catheterization has declined in all series, averaging approximately 4-6 days, which is shorter than historical controls of open retropubic radical prostatectomy. 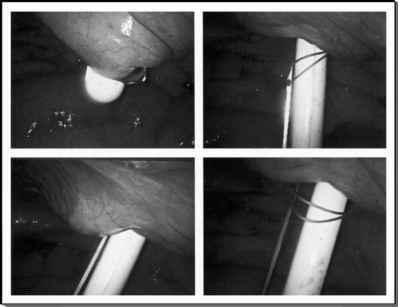 Early removal of the urinary catheter was examined with cystography by Nadu et al. (40) in 113 patients, and no increase in incontinence rates, anastomotic stricture, or urinary extravasation was noted. The average duration of catheterization has declined in all series, averaging approximately 4-6 days, which is shorter than historical controls of open retropubic radical prostatectomy. Not surprisingly, the difficult learning curve of laparoscopic radical prostatectomy skews the results strongly. In the series from Creteil and Heillbronn, the complication rate dropped significantly as experience increased, falling from 23% to 3.2% and from 13.7% to 6.4%, respectively. Although rectal injury is a major complication when not recognized, the rate of rectal injuries was similar to that of open radial prostatectomy, and the vast majority was recognized immediately, allowing primary closure and no adverse sequelae.